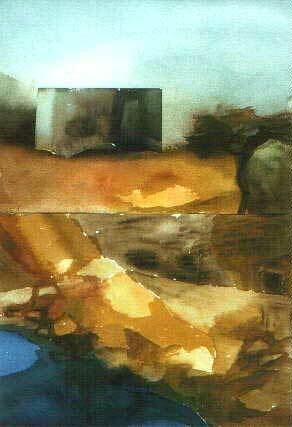 Painting in Gouache with collage from Tryptich "Desert Flood" , size 40cm x 28cm (centrepiece). Drawing from series "Swan Lake" , Satirical studies from live performance. Paper size 44cm x 30cm. stones and plates. Edition size twenty with artist proofs. Published by HM Press, size 57cm x 38cm. 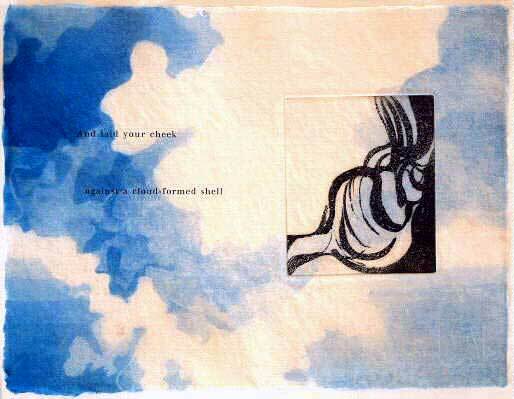 One print from a series of seven etchings on Dylan Thomas poems. Published and printed at HM press. Limitid edition of fifteen copies with artist proofs. Size 41cm x 32cm. Born in London. 1941 moved to Salisbury, Wiltshire, England. 1950-55 attended Salisbury School of Art and the Central School of Art, London, NDD, CSD. Specialised study in fine art print and mural painting. 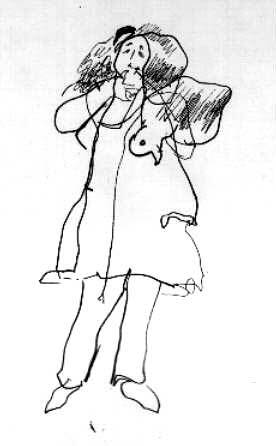 Taught at Byam Shaw School of Drawing and Painting, St Martins School of Art and Chelsea College of Art, London. Co-founder faculty member of the Art Department University of Haifa Israel. Established the Fine Art Printmaking Studios at the Haifa University and is Professor Emeritus. 1994 established her publishing and edition printing press in Ein Hod. (HM Press). Studio is open to the public by appointment. Has participated in numerous one person and International group exhibitions in Europe, USA and Israel. A recent one person exhibition was held in the Israel Museum in Jerusalem. 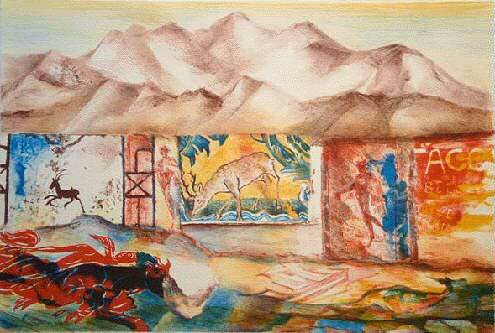 Represented Israel at the Llubliana Print Biennale 1997. Limited editions of Lithographs and Etchings have been published by St Georges Gallery, Edition Alecto, William Weston Gallery, Curwen Prints, London Graphic Arts in the UK and the Jerusalem Print Workshops in Israel. Recent publications include: Ten editions selected from a series of 22 prints; Deaths and Entrances and other poems by Dylan Thomas in editions of twelve with artist proofs. Two lithographs, black and white and colour Muse, Myth, ... and Taco. Editions of twenty with three artist proofs. Two lithographs in colour The Water House and The Cabbage Field. Seven colour etchings on poems by Dylan Thomas. Editions of twelve with three artist proofs. Printed on hand-made paper, text in letterpress. Work is represented in many museums and private collections. New York Public Library, USA. Time Magazine Building in London.